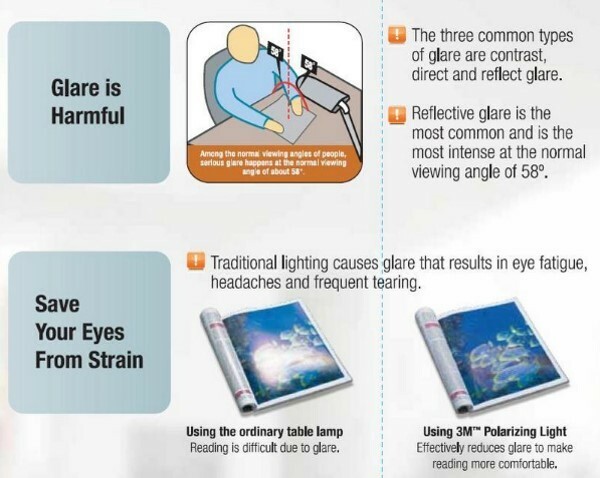 Traditional lighting causes glare that results in eye fatigue, headache and frequent tearing. Currently, all types of light tubes or ballasts do not solve this problem. In fact, the glare of some table lamps may worsen because of the inappropriate material used for the shading screen. 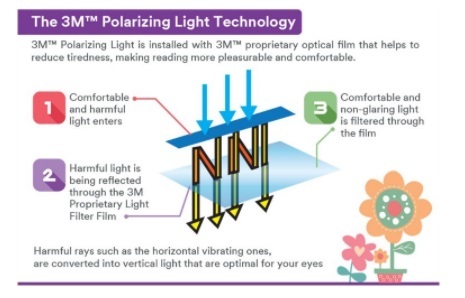 3M™ Polarizing Light reduces glare and provides effective illumination. In addition, with high frequency ballasts and safety features, you can be assured of optimal lighting for your reading purposes. 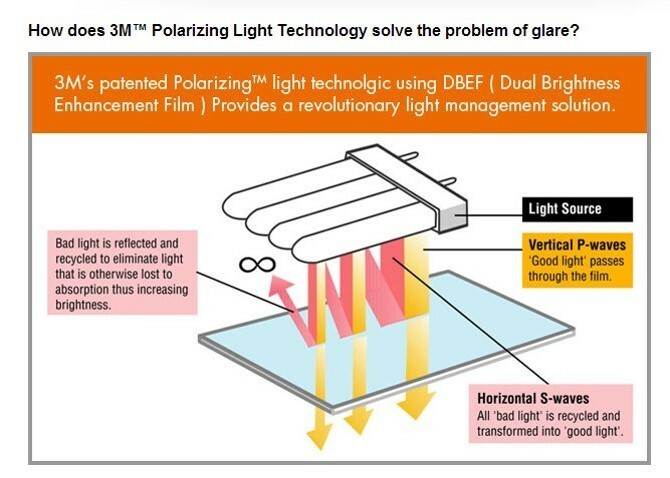 3M™ patented Polarizing Light Filter Technology is capable of solving this problem. The polarizing filter featured in the table lamps allows only comfortable light to pass through and converts all bad light into comfortable light，thereby reducing the amount of glare reflected on reading surface.